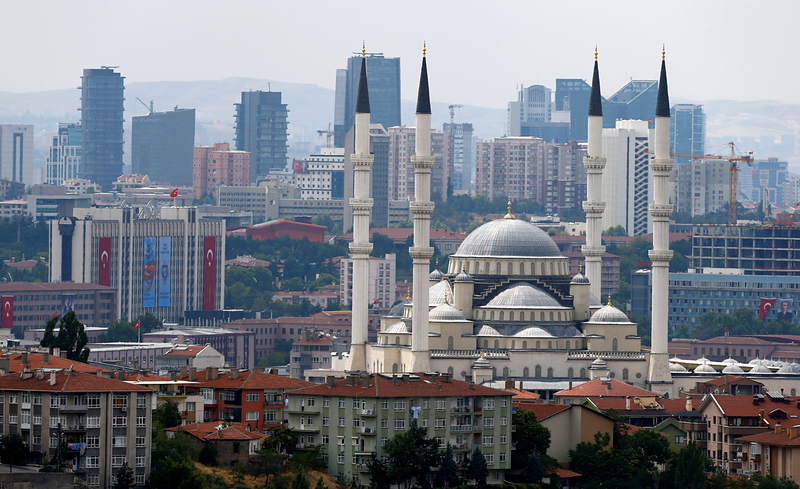 The Turkish capital's biggest mosque Kocatepe is pictured in Ankara, Turkey, July 20, 2016. The Syrian National Coalition confirmed that secret talks were held in Ankara with Russian representatives. Turkish moderators were unable to facilitate a ceasefire. Secret meetings between Russian representatives and the Syrian National Coalition were held in Ankara, Samir Nashar confirmed, a member of the National Coalition for Syrian Revolution and Opposition Forces, reports RIA Novosti news agency. “The three-day talks were mediated by Turkey and were conducted with great caution. Turkey can have influence on the parties that on took part in the negotiations,” said Nashar on Dec. 1. He did not know exactly who the Russian and Turkish representatives were. Has Erdogan put Russia relations at risk with vow to topple ‘tyrant’ Assad? Nashar also added that participants tried to draw up a plan for Aleppo based on the suggestions of UN Special Envoy Staffan de Mistura about safe corridors for civilians in exchange for a ceasefire. On Dec.1, de Mistura again urged Al-Nusra militants to leave Aleppo using the safe corridor in order to avoid further bloodshed. “But it does not seem that they have reached an agreement, because the encircled troops decided to fight to the end and not to leave,” said the Syrian National Coalition representative. He pointed out that militants in Aleppo made their decision regardless of “commands from outside the city,” including directives by Turkish representatives. Previously, The Financial Times reported secret meetings citing opposition sources. According to their information, Syrian opposition and Russia held secret talks on a ceasefire in Aleppo through Turkish mediation. The U.S. did not participate in negotiations. Earlier, Moscow had announced the opening of four humanitarian corridors from the Eastern part of Aleppo, through which 80,000 civilians and more than 600 militants had left the city. Meanwhile, militants maintain control over about a quarter of the second biggest city in Syria. More than 1,000 townswere already included in the truce.